I never thought that one day I would be based here in Baguio City. Late 90s were the last time I visited this place. So when I get here, it’s kind of different and things really change. Compare before, the population of Baguio City has doubled and one of the evidence is its main Avenue stretching Session Road. This area is a place where you can see some of the major commercial establishments such as banks, drug stores, restaurants, theater, hotels, and shopping malls and so on. 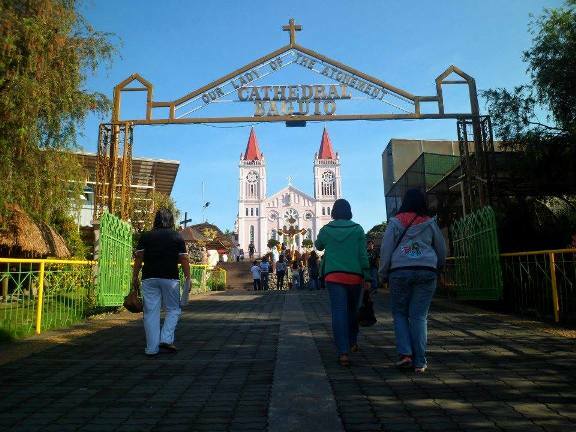 The very first place I visit here is the Baguio Cathedral, it is also known as The Our Lady of Atonement Cathedral which only few have known. It is located in the heart of the city and one of the frequently visited landmarks. It has one of the best architectural design and most brilliant buildings that stands on top of Mount Mary Hill. It is very accessible to the pedestrians from Session Road who escalates along stairways of more than a hundred steps. If you don’t feel like climbing the hundreds steps you can take the Porta Vaga Shopping Mall escalators and exiting at the top floor pointing to the Baguio Cathedral parking grounds, since the Porta Vaga Mall and the Baguio Cathedral share the same location and owner. 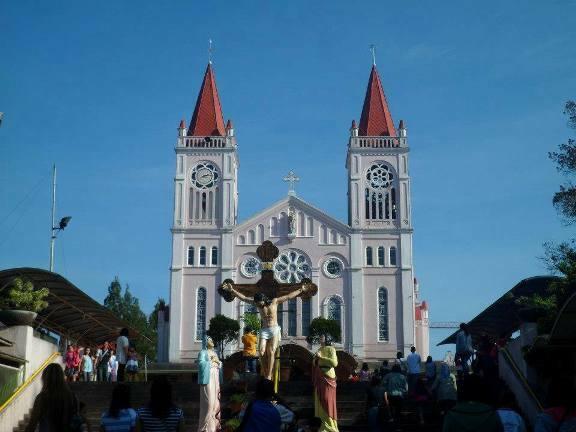 Car may enter the Cathedral grounds easily along the road trailing the Baguio Post Office with a reasonable parking fee charged for vehicles after the first hour. In a single mass, the Baguio Cathedral can accommodate up to 850 people and I am sure that it includes those who are inside on both floors and in the outside where they set up loud speakers for the crowd in standing room only, specifically on Sunday. Schedules of Catholic Masses at the Baguio Cathedral are celebrated in English except in Ilocano and Tagalog as indicated. About the Author : Zheyme is the owner of Online Geek Chic. She is the Senior SEO Specialist, SMO, Blogger and Internet savvy who loves alternative music and recently fond of gadgets. She is also involves in Social Media Networking and Search Engine Marketing.